Shivering with cold and hunger she crept along, a picture of misery, poor little girl! The snowflakes covered her long fair hair, which fell in pretty curls over her neck; but she did not think of that now. In all the windows lights were shining, and there was a glorious smell of roast goose, for it was New Year’s Eve. Yes, she thought of that! 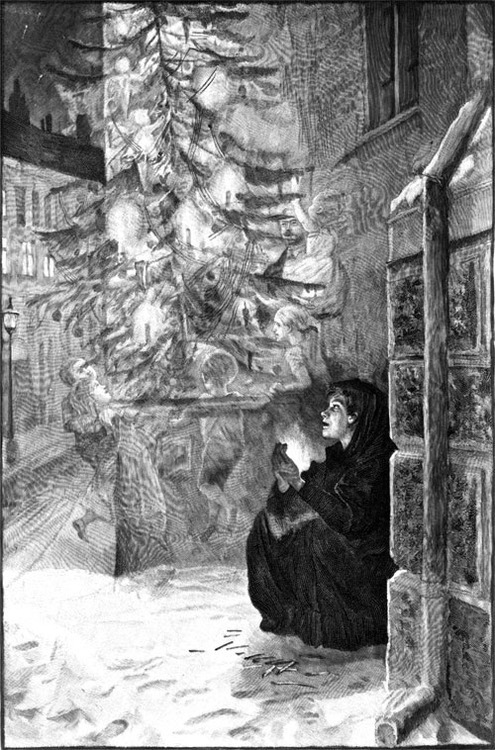 Regularly – incorrectly – referred to as a Christmas story set on Christmas night, Hans Christian Andersen’s tragic tale, The Little Match Girl, actually takes place on New Year’s Eve. It’s easy enough to see why people make the mistake, as a Christmas tree is mentioned, amongst other things. However, you have to remember that in the past people weren’t ripping their decorations down on Boxing Day! She lit a new match. Then she was sitting under a beautiful Christmas tree, with thousands of candles burning upon the green branches. 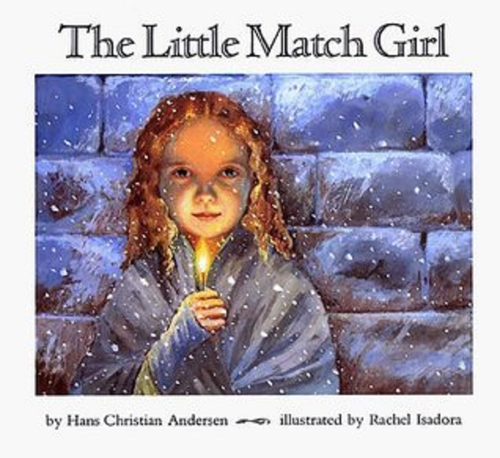 The Little Match Girl was first published in 1845 and tells the story of a poor girl who tries to make money by selling matches. However, in the morning she is discovered in the street, dead. Andersen was my favourite storyteller back when I was a child. There was something about his tragic, decidedly non-Disney endings that spoke to me. I’ll never forgive Disney for ruining The Little Mermaid! On a cold New Year’s Eve, a poor girl tries to sell matches in the street. She is freezing badly, but she is afraid to go home because her stepfather will beat her for not selling any matches. She takes shelter in a nook and lights the matches to warm herself. In their glow, she sees several lovely visions including a Christmas tree and a holiday feast. The girl looks skyward and sees a shooting star, then she remembers her dead grandmother saying that such a falling star means someone has died and is going to Heaven. As she lights the next match, she sees a vision of her grandmother, the only person to have treated her with love and kindness. She strikes one match after another to keep the vision of her grandmother alive for as long as she can. Running out of matches, the child dies and her grandmother carries her soul to Heaven. The next morning, passers-by find the child dead in the nook and take pity on her. They do not know about the visions she saw, or that she will not be cold or hungry any more in Heaven. A Grosvenor Square Christmas is free at the moment. It has contributions by Anna Campbell, Shana Galen, Vanessa Kelly and Kate Noble. Now that Australians are being forced to shop on Amazon Australia, I’m going to have to link to that one, but it’s also free in other countries! Down through the years, enchantment touches a tall grey house in Grosvenor Square. The legend of Lady Winterson’s Christmas ball promises true love and happiness to one lucky couple. Who will feel the magic this winter? 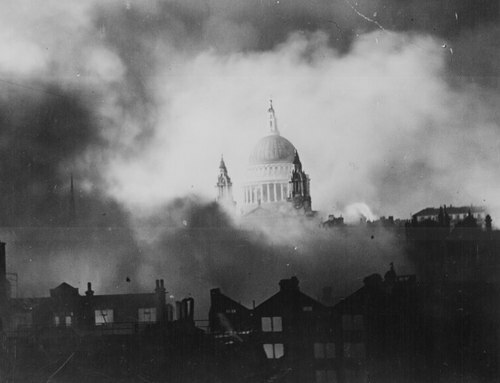 I’m going to be honest and admit I’d forgotten all about “The Second Great Fire of London” until I was randomly Googling images of London a few weeks ago and came across this photo of St Paul’s Cathedral. It is one of the iconic photographs of London, titled, St Paul’s Survives. 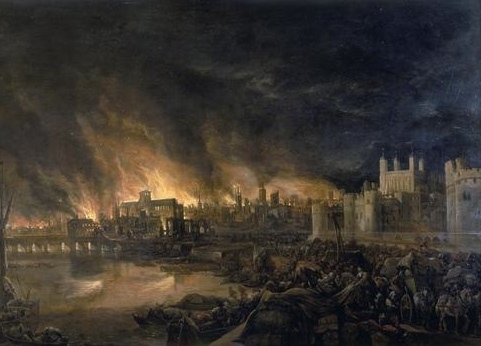 I briefly lived and worked in a building that was rebuilt immediately after The Great Fire of London, and I always associate the words “Great Fire” with 1666. Of course, this was a very different kind of fire, an act of war, and it took place some 274 years later. 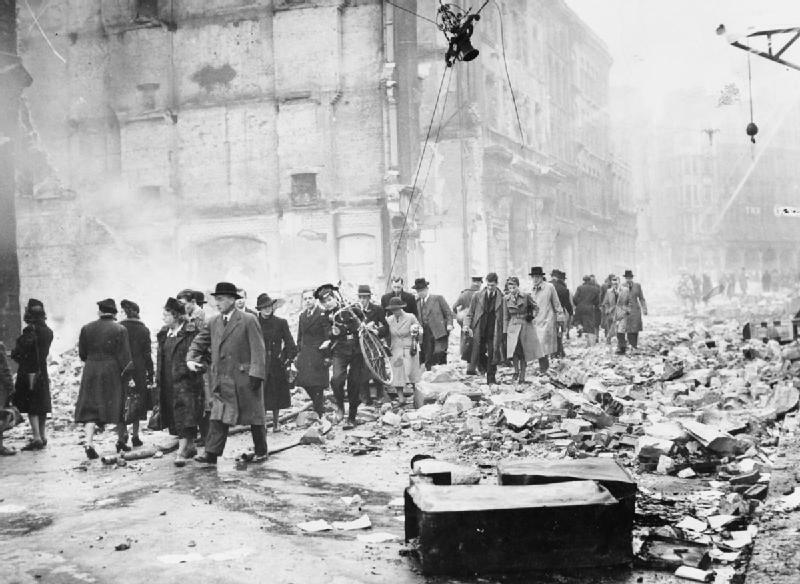 The Second Great Fire took place from the 29th to the 30th of December, 1940, when London came under heavy fire from Germany. Over 24,000 high explosive bombs and 100,000 incendiary bombs were dropped. 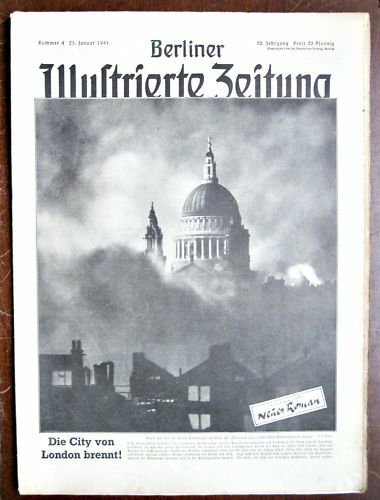 Ironically, the Germans used the picture in their own publications, as proof the bombing was working. How strange that a photograph can be used for two such different purposes. The bombing left hundreds dead and injured and destroyed many of London’s famous buildings. Every time I think of World War Two, all I can think is: What a waste. What did it achieve? I think this is a gorgeous painting! Bacon was an American painter, born in Massachusetts in 1839 and dying in Cairo in 1912. Well, Christmas is finished and it’s Boxing Day here in Australia. I know many Americans aren’t familiar with the term, but throughout many countries of the British Commonwealth, Boxing Day is the day that follows Christmas. In recent times it has evolved into the day of the year all the shops have their big sales (much like America’s Black Friday). 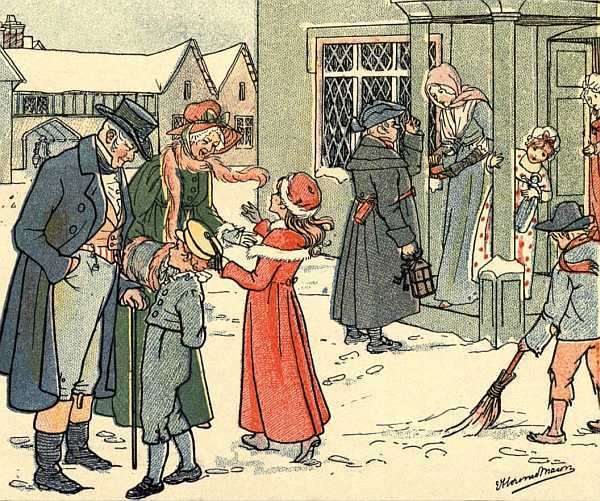 The origins of the holiday are unclear, but in the past, the 26th of December was traditionally the day servants and other workers would be given ‘a Christmas box’ from their employers. 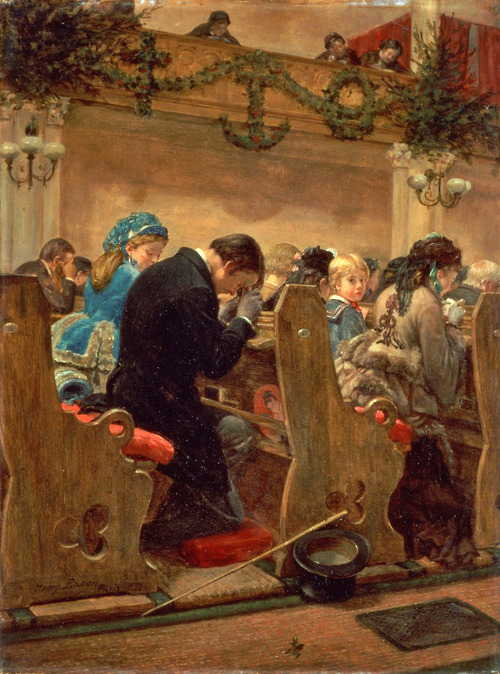 The tradition goes back hundreds and hundreds of years. Antique Santa Claus Telephone Call, 1897. 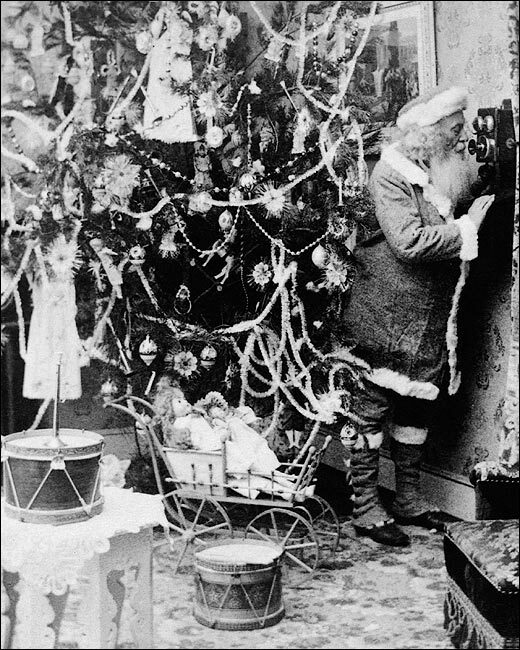 Photo of Santa Claus telephoning for more supplies, 1897. By the time this photograph was taken, telephones weren’t entirely new or alien to many people in the world. The telephone was patented by Alexander Graham Bell in 1876, but there’s a great deal of dispute over who should be given credit for its invention. No matter what, by 1897 the telephone wouldn’t have been any more impressive to a late Victorian era child than the internet is to a child of today! You can buy copies of this photograph HERE.